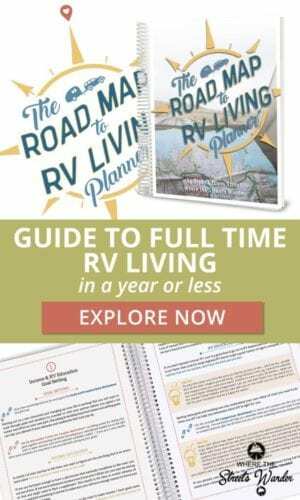 When setting off on an RV journey for an extended period, especially full-time RV living, you can lose your focus on experiencing and accomplishing things that matter to you. Many days might pass by, and you haven’t done the things you really wanted to. The freedom of RV traveling is amazing. But left unchecked can leave you empty and unsatisfied. As we make plans to travel, inevitably plans change! They always do. You might suddenly get the “squirrel” mentality and shift things around. The beauty of this is that you can! But constantly chasing the next best thing can get old. Suddenly, days, weeks or months later you realized you should have biked that trail or kayaked that lake or visited that historic site….you were right there! But next best thing taunted you. Making a plan or gaining a focus, even a loose one can help bring fulfillment to your experiences. If you have particular hobbies you enjoy, you can focus your travels on having places to do those hobbies. If you like to fish, bike, kayak, hike, golf, etc. make your plans with those hobbies in mind. You can include your hobbies in your focus when doing any traveling. If you love history, traveling historical trails an be a great way to see a lot of the country but have a bigger picture of history and what it looks like now. For example, doing a Lewis and Clark Itinerary covers much ground, but you see amazing sites along the way. Seeing every National Park is often on RVers bucket list. Doing a National Park tour can be an idea to plan. Going more in-depth to include National Historic sites can add history to your travels. Here is a great resource to help you plan what not to miss when visiting National Parks. Visit Ash at Dirt in My Shoes for some great park itineraries. If you have a bucket list of hitting every state, you could include all of the above in that particular state. State parks sometimes a great way to see the best of what the state has to offer and the campgrounds are usually less expensive. There is a cool app for state parks called Pocket Ranger. Use your phones app store to get these great apps for each state park. In the case of planning things to do, often the local visitor center is the most awesome resource. Be sure to use a planning tool to help keep track of things as you plan. 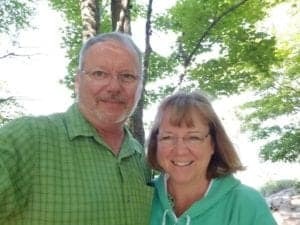 You might consider an RV tour or caravan for some added fun and fellowship when focusing on any of the above areas. 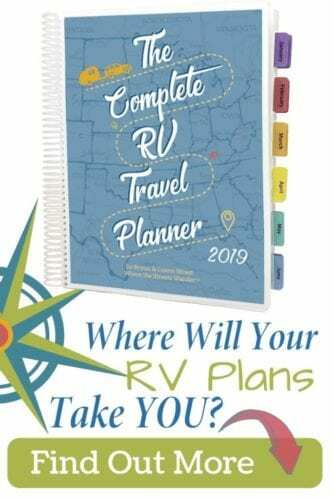 I have shopped RV Fantasy Tours for ideas and direction for our personal travels. Bryan and I met some of the trip guides for this company in our travels. These trips sound amazing. We are considering doing an Alaska Caravan in 2019. If you have done any of these types of trips, please leave your comments below and share your experiences with us! As you can see, there are many ways to plan your travel. Keeping in mind what is important to you and doing it will help you make memories for a lifetime. After all isn’t this why we are RVing? Another great app is Clio. It first finds your location, then gives you a list of all the attractions in a 50 mile radius. Nice addition to our AAA maps & itineraries.